What’s Driving Innovation in Aircraft Propeller Design? The Wright Brothers powered their 1903 Wright Flyer with two hand carved, laminated spruce propellers. For decades after their historic flight, the propeller was considered as integral to flight as an aircraft wing. But as jet engine technology advanced after World War II, it appeared that the future was all about the turbofan-powered jetliner. Huge jets were getting more people to more places faster than ever before. It looked like the golden age of propeller-driven flight was over. Or was it? It turns out that those big jetliners also come with a big price tag. Beyond the enormous purchasing price, costs related to fuel and maintenance are incredibly high. As costs have increased, airlines have been looking for more efficient ways to do business. It turns out that turboprop planes are far more efficient over shorter distances than their turbofan-sporting jetliner counterparts. This has led to increased demand for turboprop planes – and the propellers that drive them. Increased research and development dollars are being spent to ensure that these propellers are not only more efficient, but also reduce vibration and generate less noise. This demand for increased efficiency in regional aircraft is driving the future of aviation propeller design. Propeller manufacturers like Hartzell have been working with a number of aircraft manufacturers to deliver this increased speed and efficiency while reducing noise and vibration. One of those manufacturers is CubCrafters, whose CEO, Jim Richmond, says he chose Hartzell’s all carbon propellers because, “Hartzell’s Trailblazer props are lighter, faster and stronger than any competitor.” The all carbon fiber construction of this propeller blade gives it incredible strength while reducing its weight – huge benefits for aircraft looking to lower fuel costs. Evolution Aircraft has also completed extensive performance and noise testing to confirm the performance improvements that have been achieved for their Turbine Evolution Aircraft while equipped with a Hartzell five-blade composite swept tip constant speed prop. Even though the propeller has one more blade than the previous aluminum version, the propeller is still 3.5 pounds lighter than the standard propeller – including the spinner and de-ice. In flight tests comparing a four-blade aluminum prop with Hartzell’s new five-blade structural composite propeller, Elite Pilot Services documented a three knot increase in cruise speed and a 144 feet per minute increase in climb rate in the Turbine Evolution. 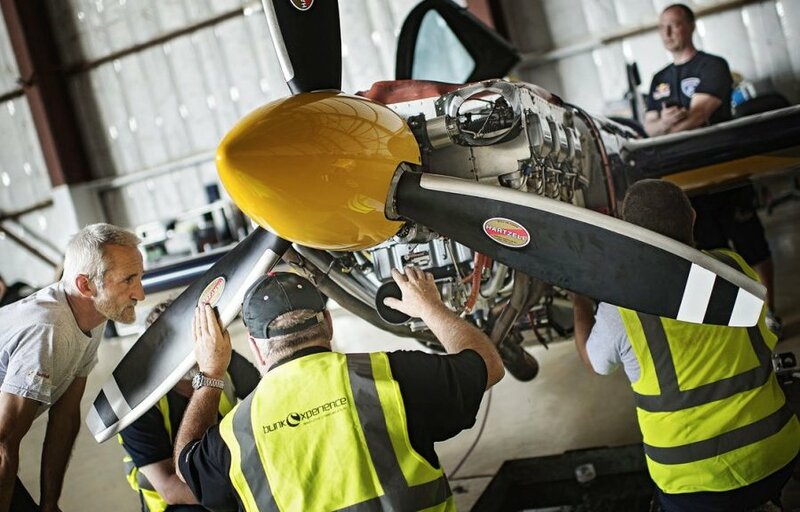 Airplane modifier Texas Turbine Conversions is also collaborating with Hartzell on a Supplemental Type Certificate for a new four-blade composite swept propeller for the single-engine Supervan 900™ aircraft. Using advanced aerodynamics and sophisticated manufacturing processes, the goal is to increase performance and deliver extraordinary reliability for the 110-inch diameter propeller, which is 60 pounds lighter than the propeller it replaces. It’s performance enhancements like these that so many aviation manufacturers are looking for in modern propeller designs. This need drives the industry forward, ensuring that propeller manufacturers stay on the cutting edge of advanced propeller design and aerodynamic manufacturing.